I like when that happens. I grabbed a “random” book in the office, flicked through and it turned out to be a real gem. 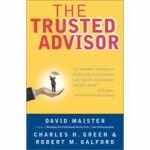 “The Trusted Advisor” by Tom Peters, David Maister, Charles Green and Robert Galford is unsurprisingly all about trusts. It talks about the role and importance of creating and sustaining trust for professional consultancy services. You can use it as a guide for building and evolving trust. It describes what it looks like when you experience a trust relationship and gives good reasons why trust is more important that technical excellence. 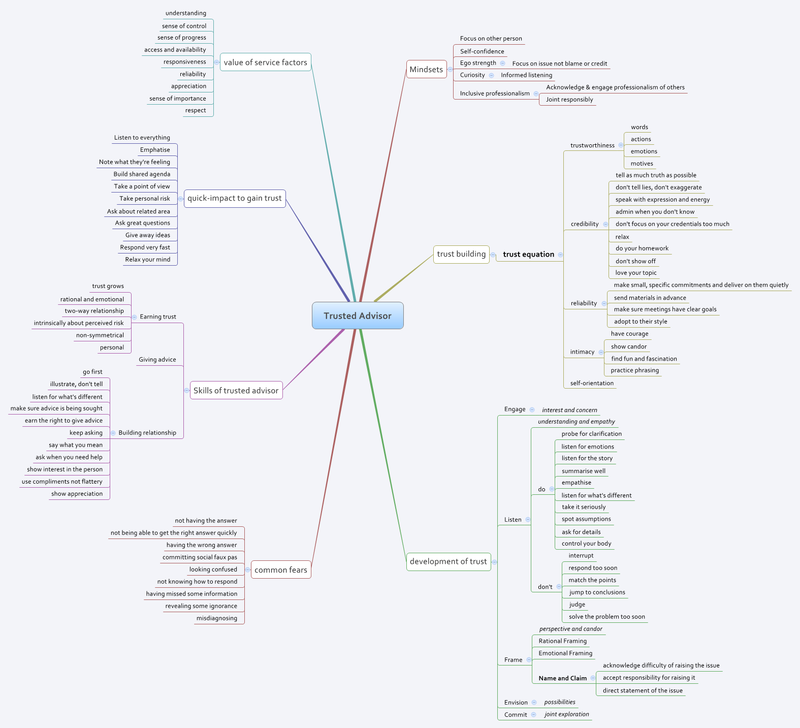 Refer to my mindmap as a guide through the book or a reminded of some of the key themes. Good, useful and relevant read. Recommended.